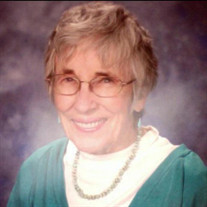 Rosemary A. Snow, PhD. (nee Allsman), age 87 of University Hts., OH. Loving mother of Nicholas D. Snow (Cathleen) of Boyce, VA, Allison C. Snow (Benjamin Labaree) of Bethesda, MD and Catherine S. Twitchell of University Hts., OH; dear grandmother of Sarah and Jessica Twitchell, Ian and Elizabeth Snow, Daniel Labaree and the late Nicholas Colwell. The family prefers that those who wish may make contributions in her name to the InterReligious Task Force on Central America, 3606 Bridge Ave., Cleveland, OH 44113. A Memorial Service will be held at 11 AM on Saturday, April 28 at Brown-Forward Funeral Home, 17022 Chagrin Blvd., Shaker Hts., OH 44120.